Welcome to the Maxomorra eco world of colour and fun! 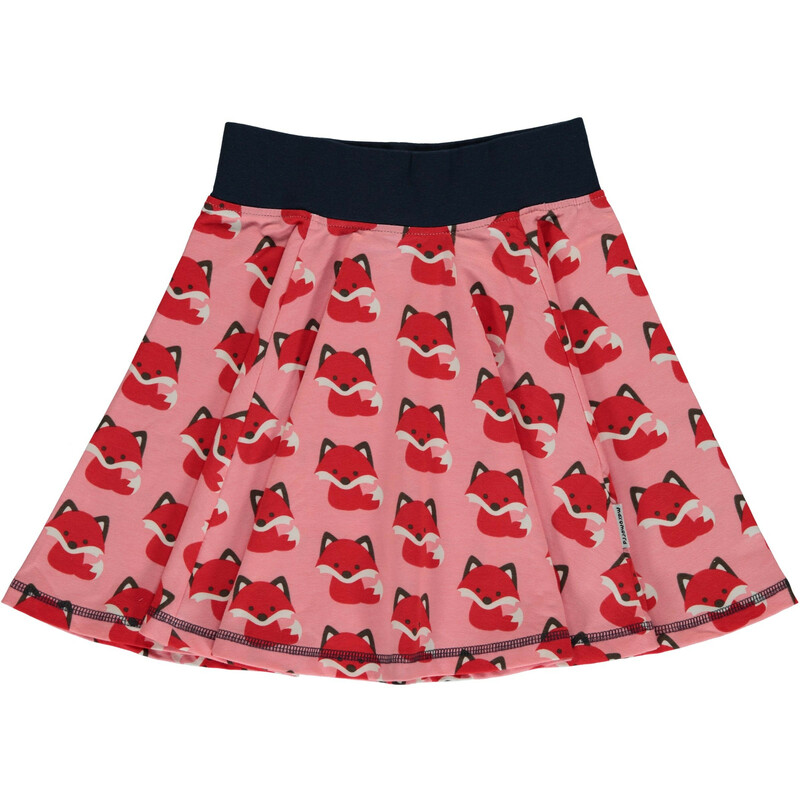 This spin skirt from Swedish designer Maxomorra made of organic soft cotton jersey has a fox print on a pink background with circular cut. Elasticated waist and overlocked hem. Maxomorra makes sustainable children’s clothing and has been using organic or ecological cotton since the start of the company in 2008. It is the heart and soul of the brand and one of their core values. Maxomorra's slogan “I am eco” stands for good choices: ecological grown cotton, only organically certified dyes, social responsible textile manufacturing, GOTS certification, recycled polyamide, low environmental impact transportation.